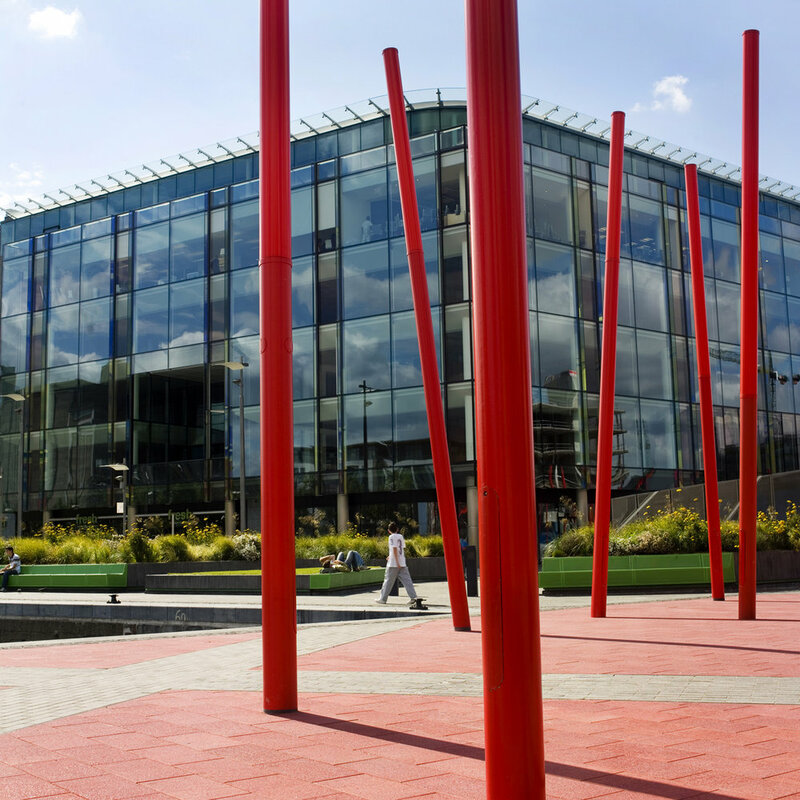 Grand Canal Square is the major public open space in the new Dublin Docklands Development area. 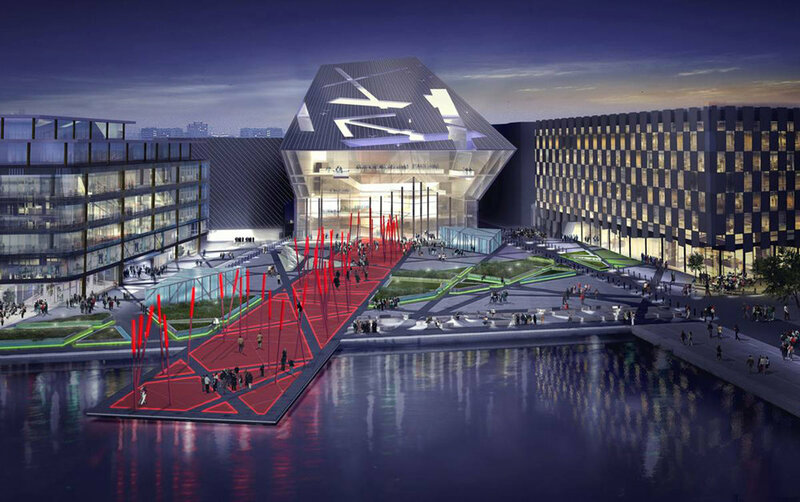 Facing out to the canal, the landscape is flanked by Studio Libeskind‘s new theater, a new office building, and a hotel. The design of the square started with the concept of “pedestrian desire lines” gone mad, encouraging movement across the square in all directions and defining the geometries of the square’s components. 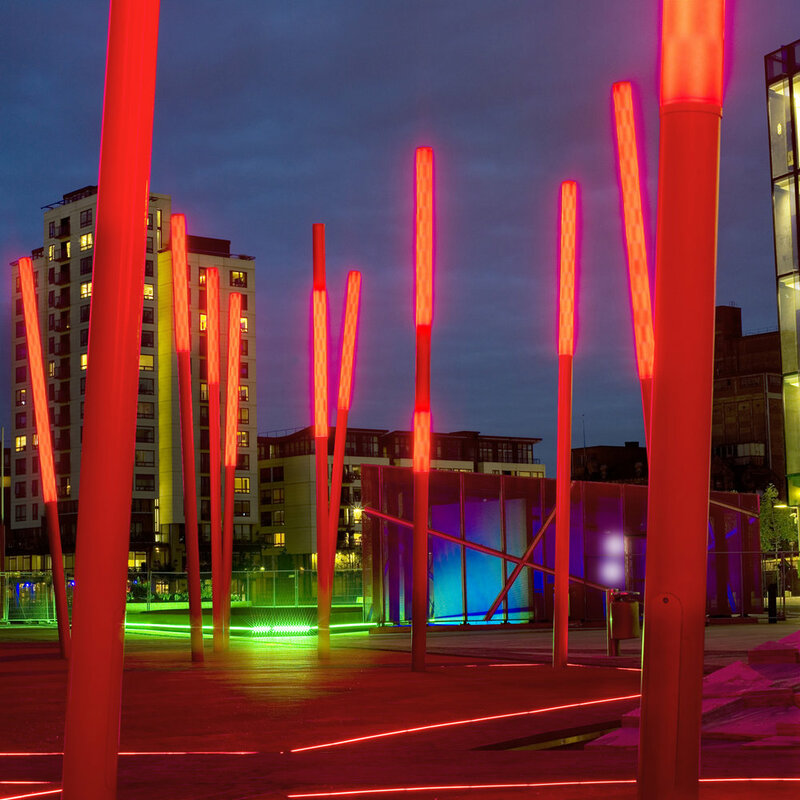 A bright red carpet of recycled glass and resin draws the magic of the theater out onto the square, which is further animated by angled red light-sticks. Crossing the square in the other direction is a green band of planters, with turf grass for casual seating on the lower planters and ornamental grasses and perennials on the higher ones. Grey granite benches border the water’s edge and green metal benches line the planters to provide more formal seating. Two water features of stacked green marble burst out of the plaza floor and overflow with bubbling water. A diaphanous triangular pavilion clad in stainless steel mesh contains access stairs to the parking garage below. At night each element is highlighted by its own monochromatic character – the programmed twinkle of the red carpet and light-sticks, the glow of the green band and blue pavilions, and the bubbling white light of the water features.